President of Kazakhstan Nursultan Nazarbayev. One of the most powerful rulers in Asia is resigning. He has led the central Asian nation of Kazakhstan for nearly three decades — and what comes next is not clear. Nursultan Nazarbayev has ruled Kazakhstan since it was part of the Soviet Union. 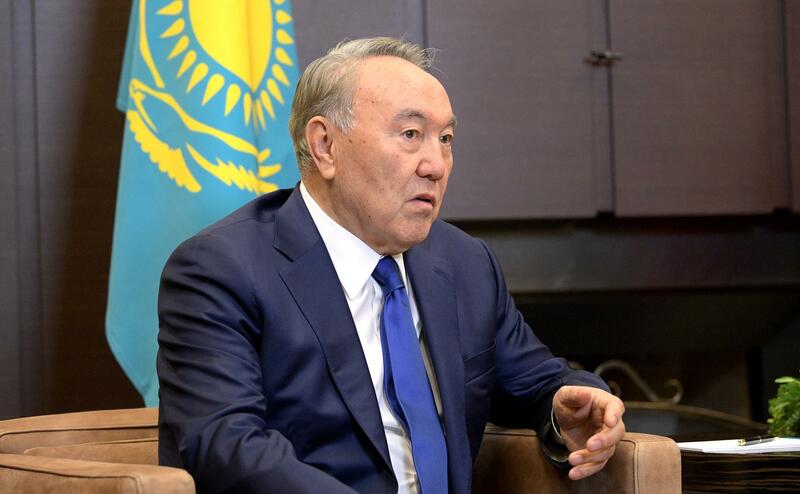 Practically speaking, political opposition has not been a factor in Kazakhstan for decades — in the last presidential election, Nazarbayev took nearly 98-percent of the vote. He’s long welcomed investment from energy companies around the world to his central Asian country. That included Exxon’s development of the Tengiz oil fields in a deal signed shortly after the fall of the Soviet Union. Rex Tillerson was a familiar figure — both as the head of Exxon-Mobil and later as Secretary of State. Tillerson praised Nazerbayev at the United Nations for giving up a large arsenal of nuclear weapons after the collapse of the Soviet Union. Energy resources have been the key to Kazakhstan’s economy — hurt in recent years by falling oil prices and sanctions against Russia which remains its largest trading partner. Just last month, the 78-year old Nazarbayev fired his entire cabinet. The resigning president told a national broadcast audience that he will be succeeded by the chairman of the Senate — a long-time political ally. There is a business news story from India this week about a pair of famous brothers who appear to have reached a truce in their long-time feud. One of the largest cities in Southeast Asia has been suffering through a water crisis. While the worst of Manila’s water crisis is over, questions still remain. A new report out this week from the United Nations shows growing concern about air pollution. The problem is getting markedly worse in many areas — especially in parts of Asia.